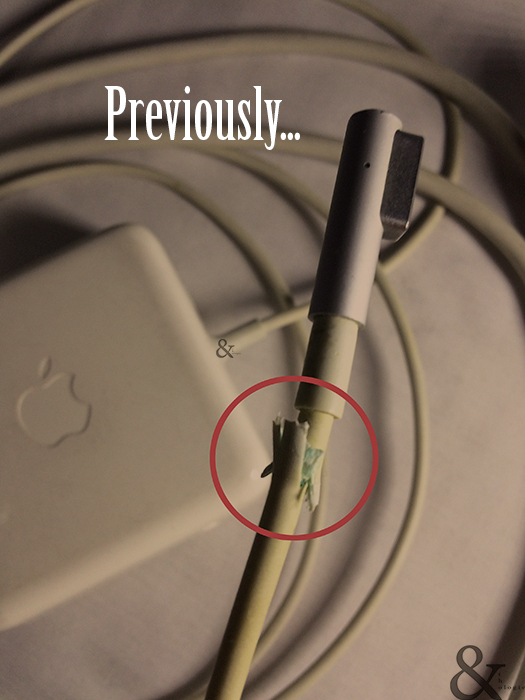 But seriously, the new MagSafe is also broken, as in unusable even if it looks virtually new and the cables are fine, and I'm back with the old one. To track back a little, a month into using the new MagSafe, there was a problem with charging but not too troublesome that I kept on using it - it would charge on and off but still usable. 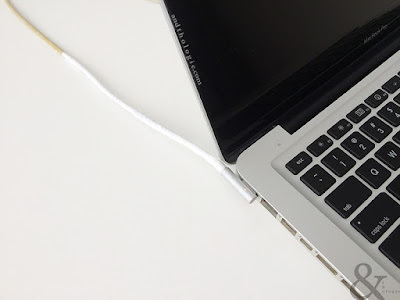 Three months into use the charging would turn on and off more often and then later on it was almost impossible to charge my MacBook especially during heavy use. 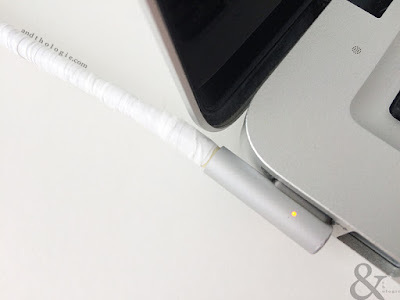 I thought of writing a full account on the problem and my attempt to get it fixed but every time I tried to I'd just get angry all over again, and so now I'd rather talk about the mending part - I mended the older MagSafe and I've been using it ever since. The picture above is how it was before I bought the new one and before the mending [of course]. The mending started with a certain red tape, the name I simply don't know so I call it by its colour. I was worried that this might become like the incident with my tablet and of course the risk of electrocution was on my mind. 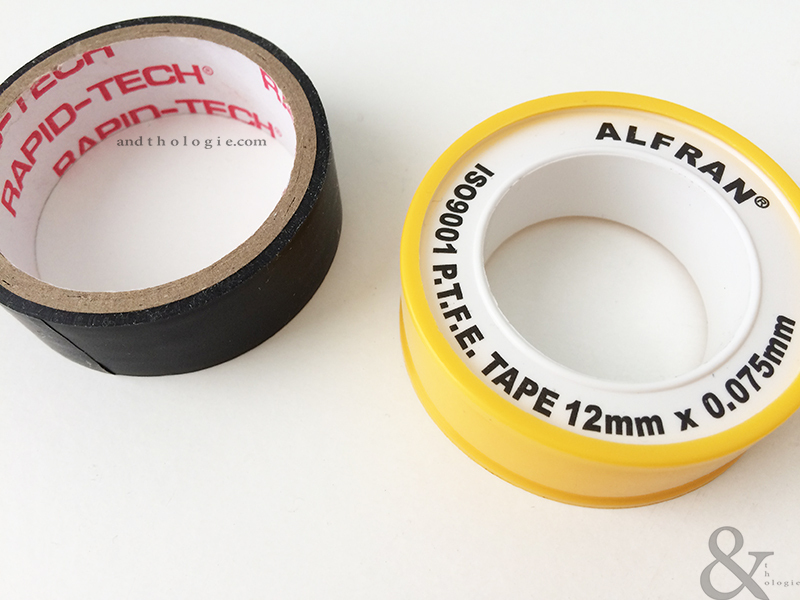 I was told that any tape would do to simply cover the exposed part, so I sealed it quite thickly [you should have seen the additional tape I put later on]. 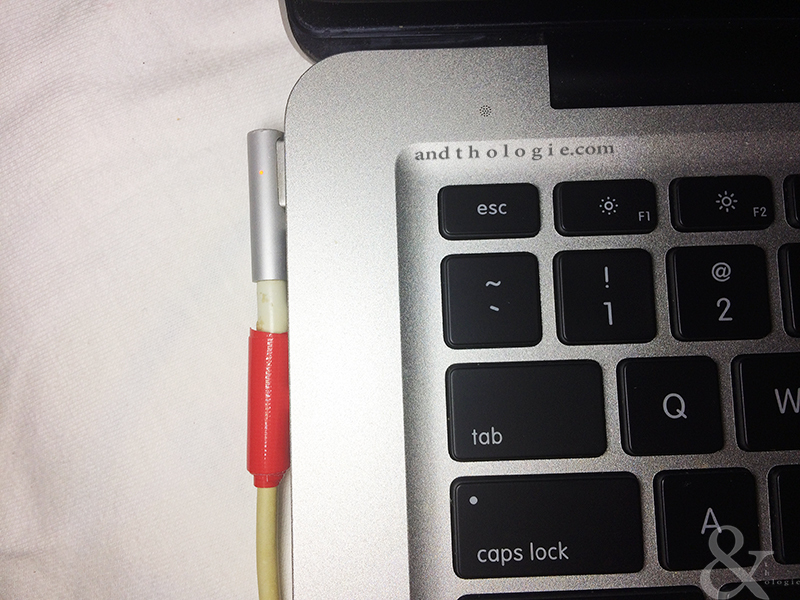 At first there was just one area close to the base of the MagSafe [picture above] that needed fixing but later on the outer layer of the cord peeled off even more, that I had to seal the lower section as well. Miraculously this was enough for over a year and I was able to charge my laptop without any problems whatsoever. A few nicks and cuts appeared along down the line of the cable while I had the red tape on. By the way, these happened only to the thinner cable while the thicker part was and is virtually fine. For these cuts I content myself with the regular transparent cellophane tape. The whole length that needed sealing. Just recently, after over a year of virtually problem-free charging, there was trouble again; the green light would struggle to turn amber and I had to pull the connector off and put it back on again to get it to charge. I decided to remove the tapes [the red and transparent] and see if more damage had been done underneath. Besides, I had always wanted to reseal everything all over again properly. And so I did. Upon removing the red tapes I was surprised to find out that what was left of the cable underneath [the outer layer] was partially melted and became soft and sticky. It spanned the whole three inches of the cable and I decided to remove them. The black and white tapes. I’m certainly not an electrician. At first I wanted to seal the exposed cable with a white seal tape or what is called a P.T.F.E tape, but seeing the tape was too thin, as is the nature of the tape, and worried it might not stand the heat, I decided to search the best way to seal an exposed cable and found out that the black PVC insulating tape is the best to go about. And since I have both tapes around the house I went about my work and a few minutes later had the cable sealed, first with the black electrical tape and then the white P.T.F.E tape for good measure. Sure enough there's no problem with charging anymore. It's not the neatest seal job but I got it done and I'm happy. All sealed up and ready to go.